Representations and warranties in the documentation of a hotel purchase and sale agreement (or agreement for purchase and sale of any type of hospitality property): What is the value of the seller’s representations and warranties? When does it matter?. Hotels, restaurants, resorts, vacation ownership projects, spas, golf courses and other similar hospitality properties are different than most real estate. They involve operating businesses that are integrally intertwined with special purpose real estate. So the documentation to buy or sell such a property (and business) needs to be different than that used for other commercial real estate. One of the areas that is most apparent is in the seller’s representation and warranties. The article below is by hotel and timeshare lawyer David Sudeck, a senior member of JMBM’s Global Hospitality Group®, and someone very experienced in the purchase and sale of hotels, restaurants, resorts, vacation ownership projects, spas, golf courses and other similar hospitality properties. In a recent article, David wrote about representations and warranties in a purchase and sale agreement — what they are, what areas they cover, and what you want to get in a typical deal. In this article, he writes about the value of these representations and warranties, hurdles to enforcing them and common terms used today. This article is one of a series of insights that will be published initially as articles on the Hotel Law Blog at www.HotelLawyer.com and then they will be assembled into the HOW TO BUY A HOTEL handbook for our “We wrote the book™” series, much like the HMA Handbook and the Lenders Handbook for Troubled Hotels (see Resource Center at HotelLawyer.com for free copies). in a hotel purchase and sale agreement mean? Purchasing real estate along with an operating business (whether a hotel, restaurant, resort, vacation ownership project, spa, golf course or tennis facility) can be complex and risky. There are practical and financial limitations to the information that can be secured and reviewed during what is typically a short (e.g., 15-60 day) due diligence period. In most traditional sales (as opposed to note or foreclosure sales), the seller of the business and property will have knowledge of the assets, and securing representations and warranties from the seller regarding the subject assets will provide the buyer with some additional information, or comfort that the information the buyer already has is comprehensive and accurate. What is the value of a seller’s representations and warranties in a hotel purchase and sale agreement? The purchase and sale agreement typically includes closing conditions in favor of the buyer which, if not satisfied, will provide the buyer with the opportunity to terminate the agreement and receive a refund of its earnest money deposit. These closing conditions almost always include a statement that the seller must have performed its covenants under the agreement and that the seller’s representations and warranties must be true and correct (typically both when made and as of the closing date). So are the seller’s representations and warranties important prior to the closing date? YES, as they may support a termination of the agreement by the buyer. In some circumstances, if the inaccurate representation or warranty also constitutes a breach of the agreement by the seller, the buyer may also be able to seek damages for the breach by seller (which may be capped and limited to buyer’s out-of-pocket costs incurred to date or may not be capped/limited, depending on what the buyer and seller negotiated in the default section of the agreement). The proper drafting of both the seller’s representations and warranties and the buyer’s conditions to closing is critical. Depending on the knowledge qualifier used in the representations and warranties section and the wording of buyer’s conditions to closing, the seller’s representations and warranties may be true and correct even if inaccurate. In such case, the buyer may not be able to terminate the agreement even if it discovers the inaccuracy prior to the closing date. At the same time, if the conditions to closing section is not drafted carefully, a buyer may be able to terminate the agreement and secure a full refund of its deposit (effectively securing a very extended “free look” period) if it discovers even an immaterial service contract that was not scheduled in accordance with the seller’s representations and warranties. Needless to say, these areas of the agreement should be reviewed and drafted with great care, as they are interrelated. Sloppy drafting may result in unintended consequences, including the ability of the buyer to terminate the agreement without liability right up until the closing date. If the buyer discovers post-closing that a representations or warranty of the seller is false, then the buyer may have an opportunity to pursue a claim for damages incurred by the buyer (e.g., reduction of property value) or indemnification for amounts paid to third parties. However, the protection is typically limited in a number of ways. For example, it is not unusual for a purchase agreement to provide that any breach of a seller representation or warranty known by a buyer prior to closing is waived if the buyer elects to proceed to close escrow rather than terminate the purchase agreement. Such a provision is generally enforceable. As a practical matter, I cannot remember even one of my buyer clients pursuing a claim against a seller post-closing for a breach of representation and warranty. That might be a sign of the high quality sellers on the other side of my transactions, but it is more likely the commercial reality of the marketplace. That is, purchase agreements often include limited seller representations and warranties, and little recourse if a breach is discovered, particularly in overcoming the hurdles of enforcement. What are the hurdles to recovering? Proving knowledge: If the seller’s representations are qualified by knowledge, then in order to successfully recover from the seller in an action against the seller based on a claim of breach, the buyer will need to prove that the seller had knowledge (or in some limited cases, where the knowledge qualifier is not limited to “actual knowledge,” then the buyer must prove the seller should have had knowledge) of the inaccuracy of the statement in question. This can be an extremely difficult hurdle to overcome unless the buyer has found the “smoking gun” memo evidencing such knowledge. Limited survival period: The seller typically will seek to limit the survival of any of its representations and warranties to a fairly short period of time (e.g., 3 to 12 months), and this will provide the buyer with a limited period of time to both discover an inaccuracy and make a claim. Bucket and Cap: The seller will often negotiate for a “bucket” (i.e., a dollar amount below which seller will have no liability for a breach of its representations and warranties). This may be documented as a threshold above which seller will have liability for the entire claim or a deductible above which seller will begin to have liability . (Obviously, the former is preferable if you are the buyer!) and a “cap” (i.e., a maximum liability for such breach). This will sometimes mean that the buyer will have no recourse for “small” claims (even if the seller breached its representations and warranties) and will have limited recourse for larger claims. This sort of arrangement may remove much of the incentive of the seller to carefully review its files and its statements, and therefore, the buyer should carefully consider the implications of agreeing to this provision. Limitation on Remedies: The purchase agreement may provide that the sole remedy of the buyer in connection with a post-closing claim of breach and representation or warranty will be a claim for indemnification. This may effectively prevent the buyer from seeking to rescind the contract based on the inaccurate statements of seller, which may otherwise be available to the buyer under contract law; however, there are numerous cases (including the 2006 ABRY Partners case out of Delaware) that provide that buyers have remedies under tort law (e.g., based on claims of fraud or negligent misrepresentation) even where the contract purports to significantly limit available remedies. Holdback or Joinder: The seller will likely be a single purpose entity. So what if the seller does breach its representations and warranties and what if such breach is discovered during the survival period and it is of a sufficient amount to support a claim for damages or indemnification? If the seller, after the close of escrow, distributes its sales proceeds to its members/partners, then the buyer will be in the unenviable position of having to trace the proceeds by making claims of fraud or inadequate capitalization of the selling entity to cover expected contingent liabilities. (b) Guaranty or joinder. The parent company or principals of the seller (i.e., an entity or person with substantial assets or liquidity) to sign a guaranty or joinder to be jointly and severally and primarily liable for the post-closing liabilities and obligations of the seller. If drafted with care, the purchase agreement can be negotiated and drafted to avoid an unintended extended “free look” period for the buyer and yet provide a meaningful incentive for the seller to make accurate statements with respect to the subject property that help the buyer complete its due diligence as quickly and as comprehensively as possible. 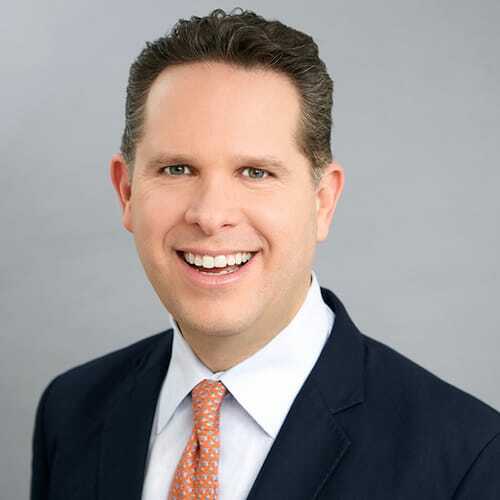 David Sudeck, is a senior member of JMBM’s Global Hospitality Group®. He helps clients create value for their hotels and other hospitality properties in the purchase and sale, development, construction, financing, leasing, sale-lease back, and operation of (including management and ADA compliance issues associated with) such properties. David’s practice primarily involves the complex issues associated with hotels, resorts, vacation ownership properties (including clubs, timeshares, fractionals and private residence clubs), restaurants, golf courses and spas. He represents several financial institutions and private equity funds as special counsel relating to their hospitality interests. Contact David Sudeck at 310.201.3518 or dsudeck@jmbm.com.